Check out our online interactive maps! Or download a useful pdf to store on your phone: Halifax [1.2 MB] or Truro [3.9 MB]. Take a look at our campus service finder to find out about campus services and resources available to help you. Welcome to campus! You probably have lots of questions and you’re not sure who to ask for help. Where’s the Chemistry Building? How do I get my health insurance card? Where can I get a bite to eat? AskMe! is here to give you the answers. Look for our Ask Me mobile team around campus at the beginning of the term – they'll be in ones wearing bright gold T-shirts. Don’t be shy—Ask Me! You may notice our friendly faculty and staff members wearing Ask Me pins. They’re happy to help answer your questions and welcome you to campus. Feel free to tweet @DalStudentLife with any quick questions you have. New to campus? 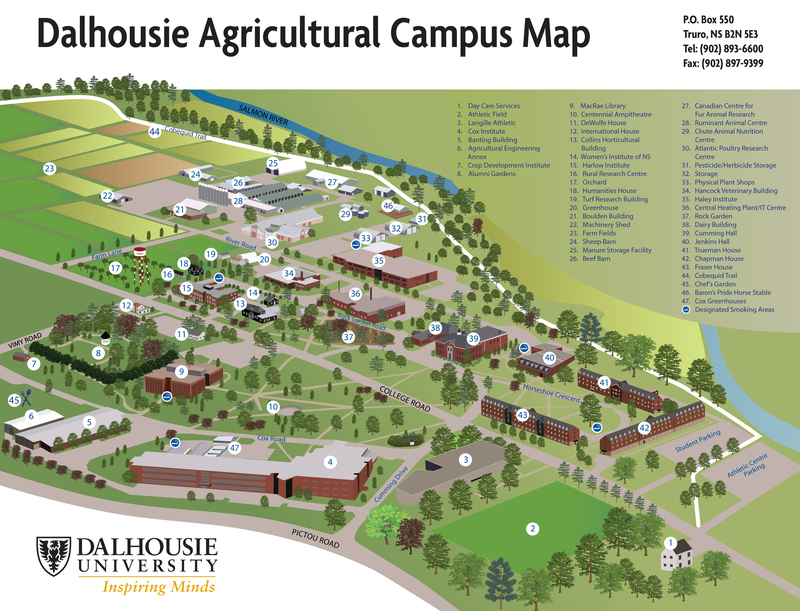 Book a free campus tour to familiarize yourself with campus! Not sure where to get your health insurance card? Need help setting up your Dal email? If you're a new student, our helpful tips page has all kinds of useful information to answer all those new student questions.